Aspiring to create a platform for inter-institutional collaborations among Asia’s top universities, we welcomed our e-learning partners from Asia’s top universities in the fourth annual Asian e-Table to exchange educational insights. This event is one of our major initiatives in realizing HKU’s 3+1 I’s vision – Internationalization, Innovation, Interdisciplinary and Impact. 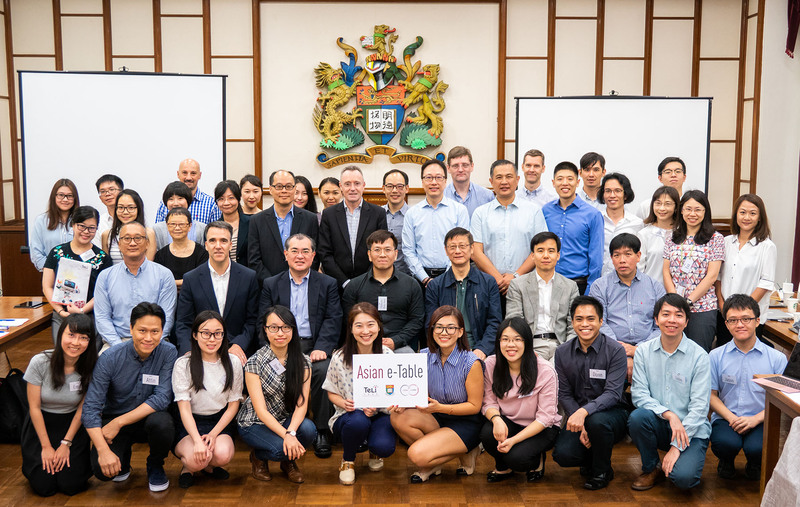 Professor Ian Holliday and Professor Ricky Kwok welcomed our e-learning partners from Asia’s top universities in the fourth annual Asian e-Table. Exploring e-learning apps, platforms and tools together. Addressing emerging trends: MOOCs and campaigns. It was a great opportunity for educators to reflect on past experience, spark new ideas, conceive inter-institutional collaborations and plan for the future of Asia’s higher education.